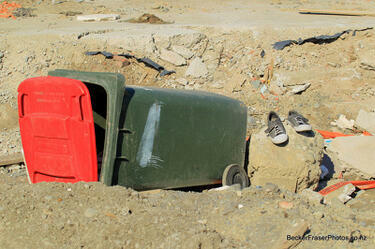 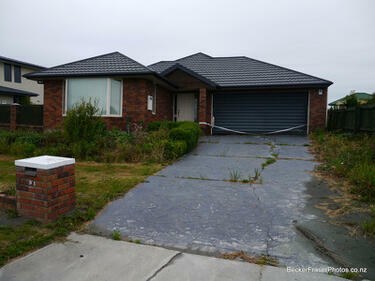 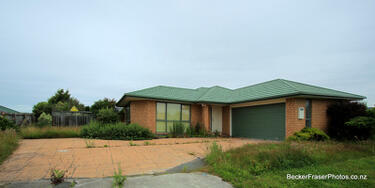 A photograph captioned by BeckerFraserPhotos, "A damaged residential property at 91 Courtenay Drive in Kaiapoi". 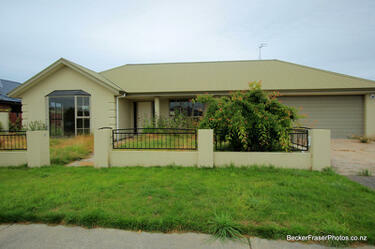 A photograph captioned by BeckerFraserPhotos, "A residential property at 72 Courtenay Drive in Kaiapoi". 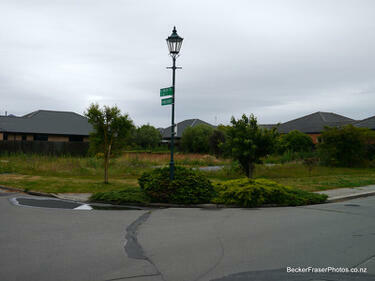 A photograph captioned by BeckerFraserPhotos, "A lamp on the corner of Reay Place and Courtenay Drive in Kaiapoi". 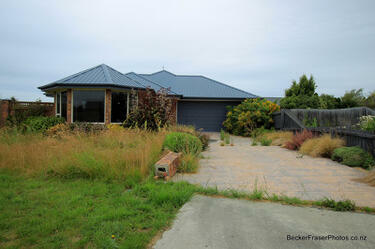 A photograph captioned by BeckerFraserPhotos, "An abandoned residential property at 62 Courtenay Drive in Kaiapoi". 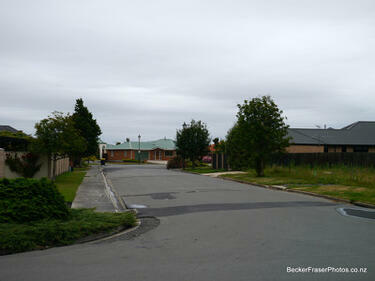 A photograph captioned by BeckerFraserPhotos, "A view down Reay Place in Kaiapoi". 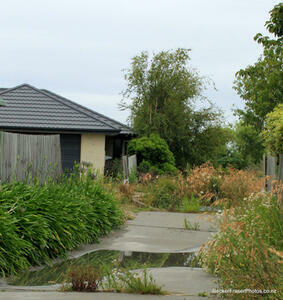 A photograph of an overgrown residential property at 97 Courtenay Drive in Kaiapoi. 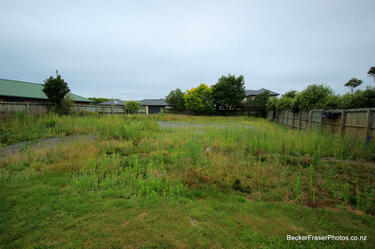 A photograph captioned by BeckerFraserPhotos, "An empty site where the house has been demolished on Courtenay Drive in Kaiapoi". 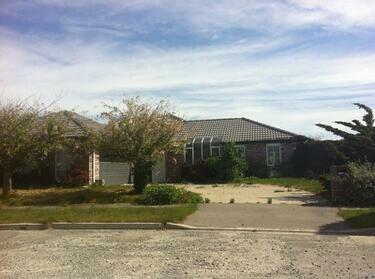 A photograph of a damaged house at 105 Courtenay Drive in Kaiapoi. 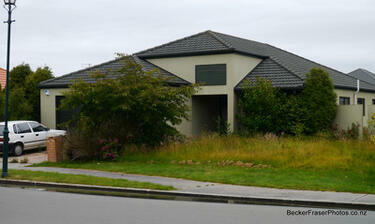 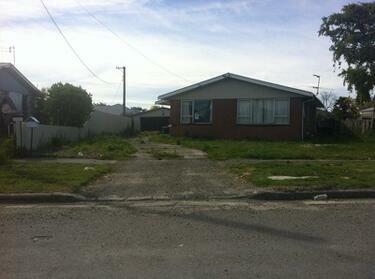 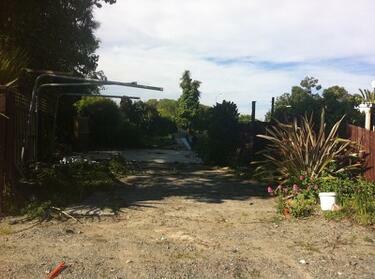 A photograph of an overgrown residential property at 93B Courtenay Drive in Kaiapoi. 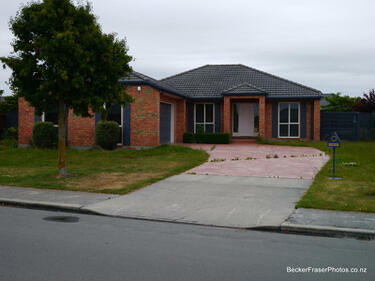 A photograph of a damaged house, captioned by BeckerFraserPhotos, "An earth-quake damaged property at 99 Courtenay Drive in Kaiapoi". 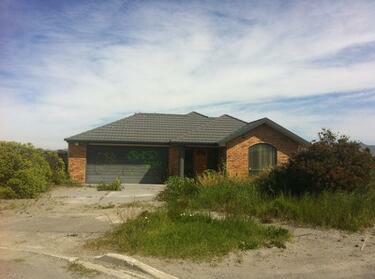 A photograph of an overgrown residential property at 107A Courtenay Drive in Kaiapoi. 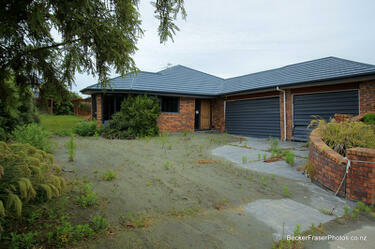 A photograph captioned by BeckerFraserPhotos, "Not much provides a vertical line at 109 Courtenay Drive in Kaiapoi". 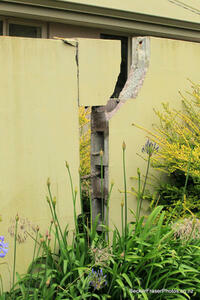 A photograph of a damaged wall captioned by BeckerFraserPhotos, "The earthquake-damaged wall of a property at 107A Courtenay Drive in Kaiapoi". 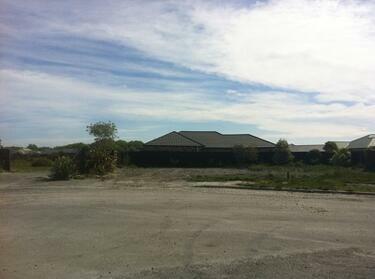 A photograph of an abandoned section at the end of Mitcham Place in Bexley, next to Sopley Lane. 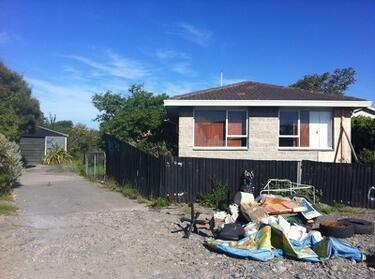 A pile of household rubbish and broken furniture has been left on the footpath in front of the property. 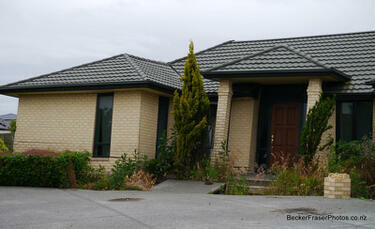 A photograph of an abandoned property at the end of Mitcham Place, Bexley.